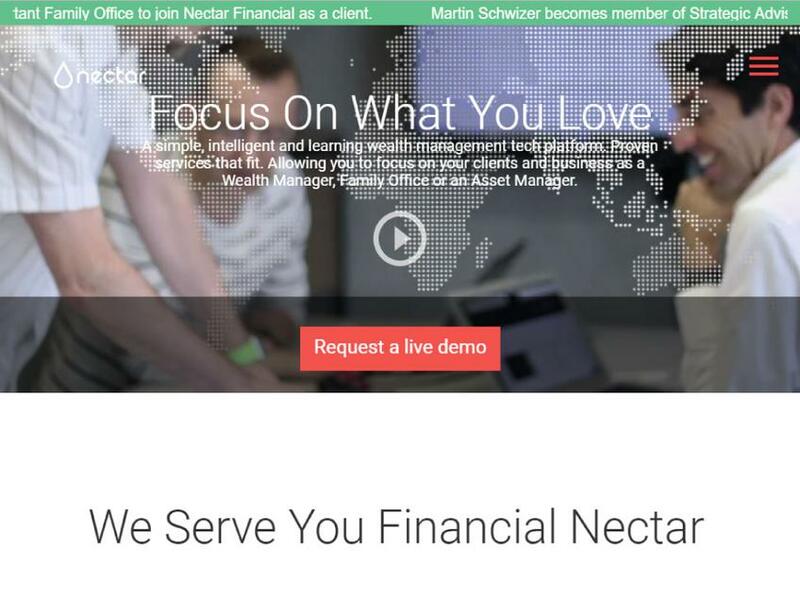 Nectar’s mission is to accelerate wealth management’s transition to sustainable practices for its clients. A simple, intelligent and learning wealth management tech platform. Proven services that fit. Allowing you to focus on your clients & business as a Wealth Manager, Family Office or Asset Manager.